There were dark clouds over who will be Pakistan’s captain for World Cup 2019. Sarfaraz Ahmed, the current skipper, had come under the scanner for his recent form as well as Pakistan’s performance under him. 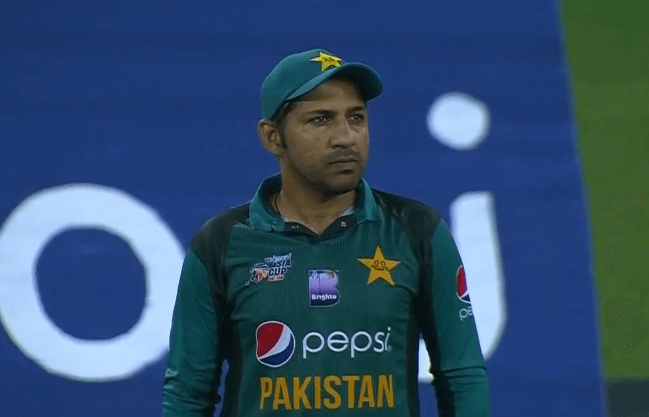 Recently, there were reports that Sarfaraz wasn’t a certainty to be Pakistan’s captain for World Cup 2019. But now, Ehsan Mani, the chairman of Pakistan Cricket Board, has backed the 31-year-old as Pakistan’s captain for World Cup 2019. Mani mentioned that Sarfaraz will remain the captain for the Australia series as well as the World Cup. Unless a disaster occurs, he will remain at the helm of affairs. He denied the rumors making rounds that Sarfaraz wasn’t a certainty for the captain’s role. “There’s no doubt that Sarfaraz Ahmed is our captain and he will remain so until any other decision is taken,” Mani told reporters in a press conference at the PCB headquarters. “There are unsubstantiated speculations regarding the leadership role after every series in the media. Sarfaraz will captain Pakistan in the Australia series [five ODIs before the World Cup] and in the World Cup. After it, we will sit and re-evaluate the performance. Obviously, performances are related to leadership but only a case of big disaster can make us review our support [for Sarfaraz]. I am not saying that we won’t be honest with our evaluations. “I am saying this from my first day that he is Pakistan captain and we are not concerned at all about what is being discussed around. He is captain and will remain captain until next decision is taken. There’s no politics involved in this decision. Yes, we carry out a review after every series and it’s a normal governing process which I believed should be carried out to analyse the performances,” said Mani. The Men in Green had won the ICC Champions Trophy in 2017 by defeating India. They have had a tremendous run in T20 cricket also as they are the top-ranked side in the rankings. Sarfaraz had received massive praise for that. But recently, the team has had a torrid time. Pakistan lost at home against New Zealand in Test cricket. Then, they were beaten by South Africa across all 3 formats in the recent tour. His personal form hasn’t been good that added to the criticism. But Mani has given the backing to Sarfaraz despite all the issues. “Questions have been raised about the performances but in a bigger picture results have been good. So, once again I tell you that the entire board is behind Sarfaraz. I spoke to selectors, coaches, director operations and all are supporting him as captain. We are very much hopeful that we will again get on the success in his leadership,” added Mani.